There more good reasons to open operations in Belgium...Thank you Lander! Edition #9 of the trade magazine Mr. sold out. 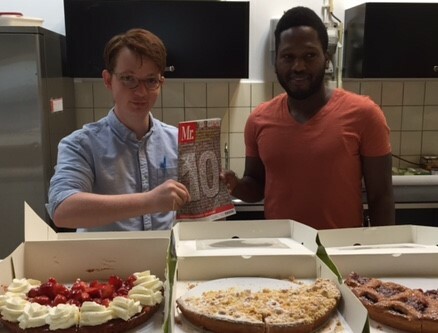 Wolters Kluwer appreciates Bas and Paulo and sends cake for the whole office! School's back in and Haarlem is welcoming the latest generation of students. 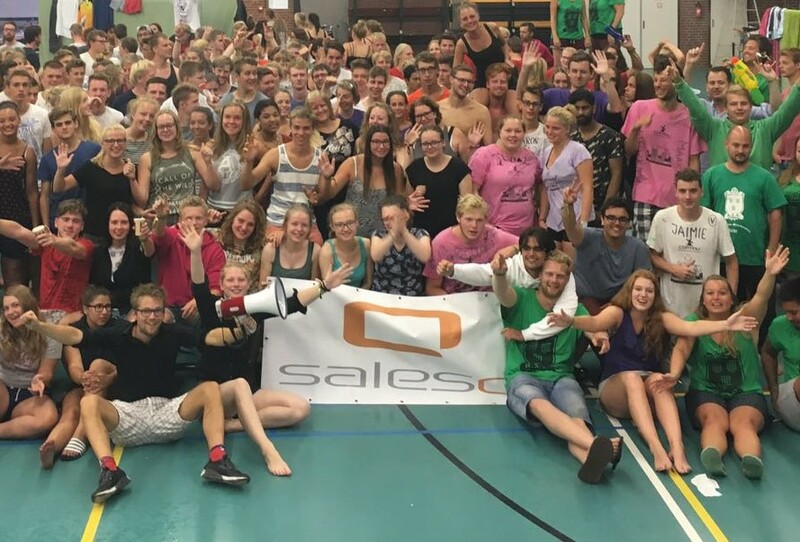 SalesQ helped sponsoring the introduction week while promoting ourselves as the coolest employer for part time student jobs. SalesQ took the whole team to the Haarlem Baseball week. In two sessions, all colleagues enjoyed great games and a well catered VIP box. The cool hats and shades were much needed on this hot day! SalesQ also took a number of good clients to the Haarlem Baseball week. First we played ball ourselves, led by two old internationals. Aftwerwards we enjoyed watching a game form our VIP box. A big success! Orange and proud! The Dutch SalesQ team has reached the second place in the Olympia softball tournament. We are not only good with calls, but also with balls! Mrs. Langenacker of the council of Haarlem has opened the new extension of the Dutch workplace! A lot of customers, relations and employees witnessed the opening made official by the opening bell. We proudly present the key of our office in Spain. 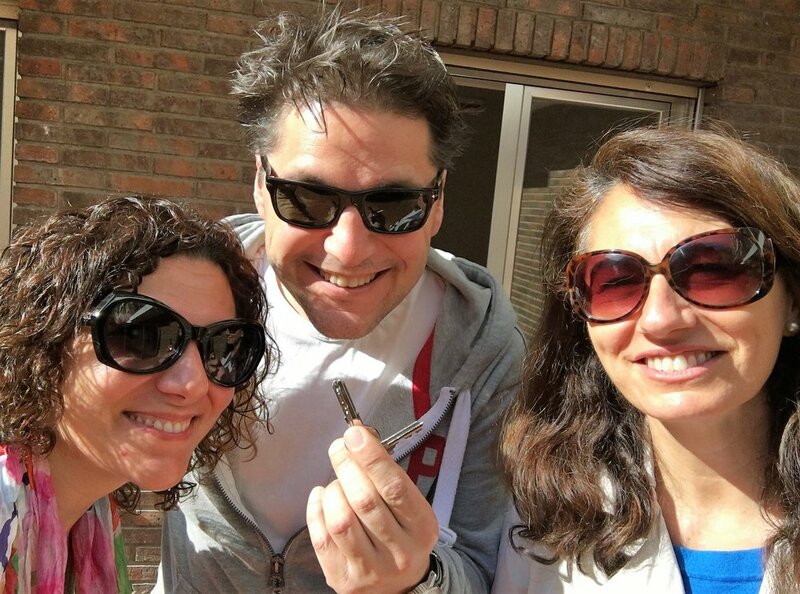 A selfie of Ana, Dolores and Casper in front of the brand new SalesQ office in Madrid. Olé! Kites, wind and good food. Florine and Jeroen at the KiteBoardOpen 2016. The best fries, burgers and saté’s are from SalesQ Events! Florine and Bas at the 2016 National Career fair in Amsterdam. As Account Managers for Wolters Kluwers magazine Mr., they're promoting the new job search site for legal professionals, JB Match. 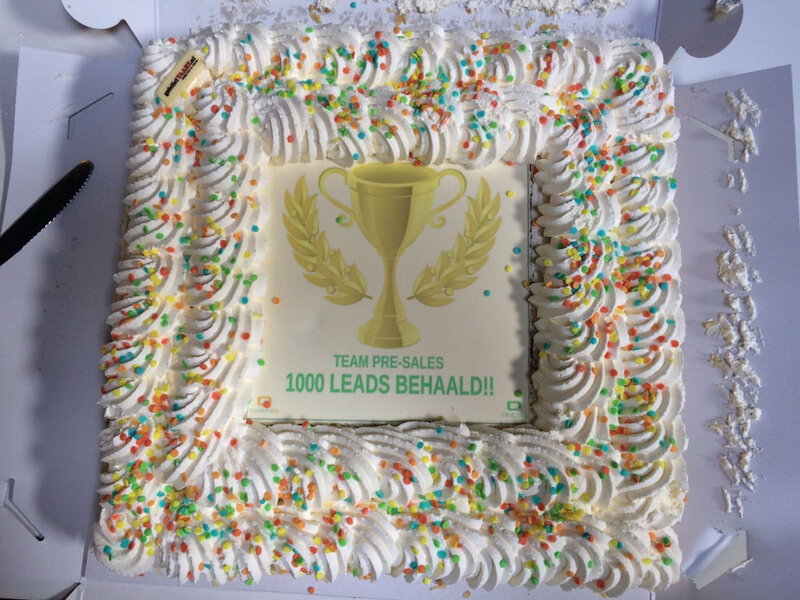 DataQ / SalesQ Pre Sales scores 1000th lead. Well done, team! Oma Tineke (95!) visits the sales floor. 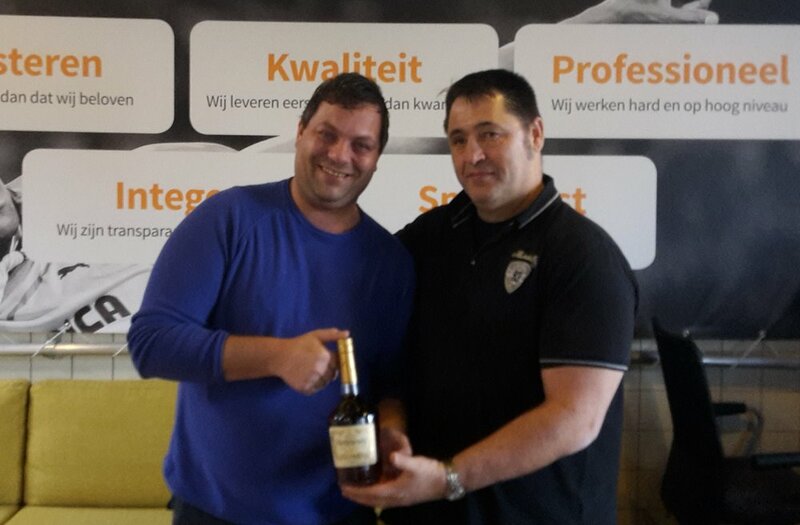 Our client Westcon: "If you make this happen, I will buy you a bottle of cognac". No problem for Ruben :-) Westcon, thanks for keeping your word! Cisco thanks the SalesQ team for their efforts. ..and we in return thank Cisco for thier annual appreciation. We already had a good week, because we made 200% of our target! DataQ rocks! 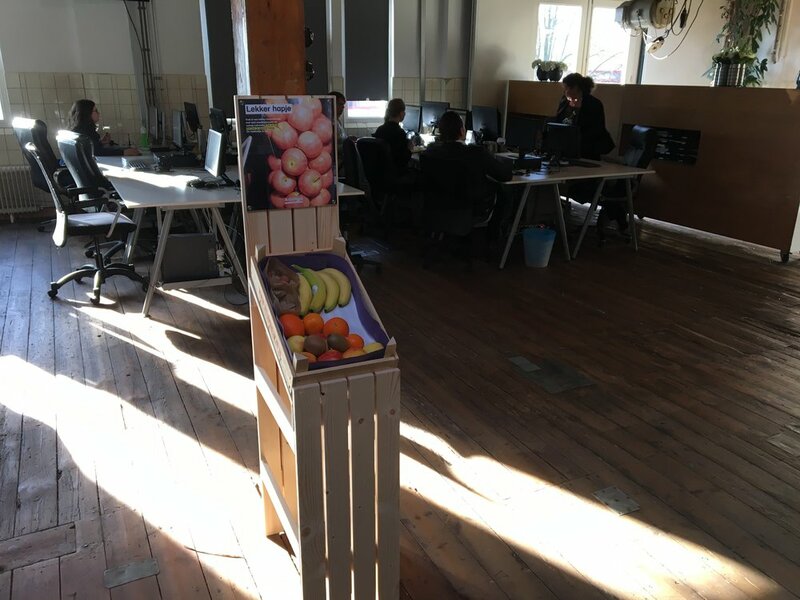 ArboNed provides us weekly with fresh fruit for the floor! How about that for a healthy start. More energy to do better what we do well! SalesQ started a 'stop smoking' campaign. The smokers in our team can earn two extra day's off, if they stop smoking for 6 months. Non smokers get a New Year's present of 2 extra days off. 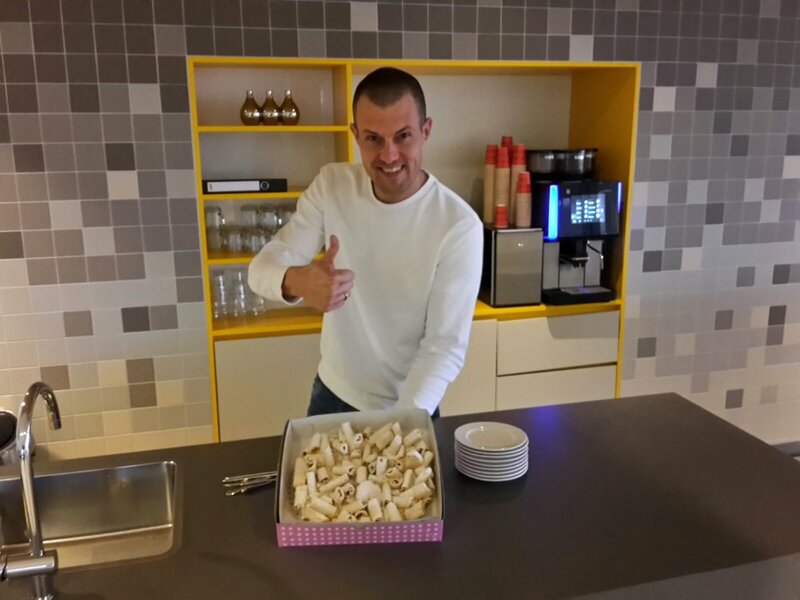 Jeroen van Eck of Westcon was very pleased with the cake Samir (Our Sales Manager) sent him in honor of the new Westcon offices. verkoopt zoveel advertenties voor de jubileum editie van Elsevier dat er bijna geen nietje meer doorheen kan.
Charley en Pepijn hadden een leuke dag tijden de Startersdag van de KvK. Samen met 2 andere ondernemers hebben ze heel wat mensen het laatste zetje proberen te geven over de drempel richting het ondernemerschap. Ondernemen is gewoon iedereen aan te raden maar het draait allemaal om de eerste stap en actie actie actie!